I was recently visiting a friend who just got a brand new metal roof installed and he was very upset about it. According to him only good thing about a metal roof is just the looks. It cost over 18000$ for a basic single home. Every time it rains it feels like living in a barn that has a tin metal sheeting on it. It makes so much noise as soon as the rain drops makes contact with the roof. Imagine a heavy rain fall or a hail storm. 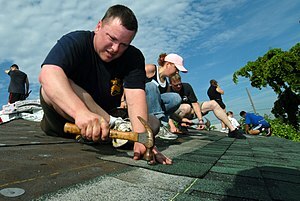 That was one of the reasons why I only choose to sell shingles. 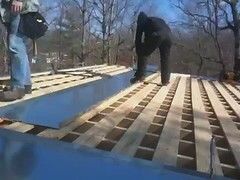 Shingles are installed directly on the plywood and there is no space for echo or additional noise. Don’t spend a ton of money on something which requires high maintenance. Roof shingles have been in the market for decades and they are the most affordable roofing systems out there. 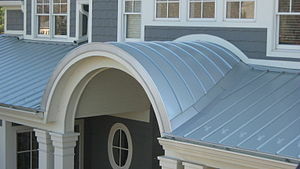 Request your Ottawa Roofing Quotes and estimates by phone and/or by email and we will be more than happy to assist you.